They need that strong relational attachment with their teacher and that’s how you can feel secure and safe at school. Third grade teacher Anita Parameswaran is no stranger to students who have experienced trauma. She has taught kids who have experienced the effects of abuse, neglect and divorce. She had one student experience a huge setback when he learned his father was arrested and sent to jail. The student then became violent, throwing things, and hurting other students, according to Parameswaran. “It was really rough when he first learned about his father, but since then we’ve made strides,” Parameswaran said. The program works with schools to train teachers about the effects of trauma on the brain and behavior of children. Trainers ask teachers to examine their own triggers and reactions to students, equipping them to disprove beliefs children have about safety and the trustworthiness of adults. They brainstorm strategies for particular students and support teachers as they try to implement them. They help teachers working with high-needs students practice self-care and voice their own frustration and anger about the situation. Teachers across the country face similar issues when trying to teach students who have experienced extreme trauma or even the day-to-day stress of poverty. When a student becomes too much for a teacher to handle, it’s common practice to send that child out of the classroom to a wellness center or to the principal’s office. And once those patterns start forming, the student is much more likely to fall behind in academics, to be diagnosed with learning disabilities or emotional disorders, and down the line, to end up in prison. Schools are trying many things to disrupt that cycle, including training teachers in trauma-informed practices. “These trainings bring you back to what’s happening; it helps you understand the psychological background of what the students are going through and what we can do in the classroom,” Parameswaran said. She says it’s easy to become negative about a student and his prospects when confronted with the same challenging behavior day after day. The Unconditional Education coach has helped Parameswaran to frame feedback positively, to work on building relationships with difficult students outside of academics, and generally to serve as a reminder that a student’s trauma isn’t his fault. She’s found specific strategies, like goal setting with a “check-in check-out” system, has helped many of her students. Learning about how trauma works and how a teacher’s interactions with a student can reinforce his or her view of the world, has helped Parameswaran to focus on what she can control — her own reactions. She’s more aware of her own triggers and why student behavior worsens when she reacts the way they expect. Seneca’s work in education started in the limited capacity of running “nonpublic schools,” residential programs for kids with the most severe mental health and behavior challenges. But by the time a child is referred to this type of specialized program, he or she has already had a lot of negative experiences in school. The Unconditional Education program was born out of a desire to work with public schools to create a sustainable whole-school approach to trauma that could become part of the school culture. The goal is to train teachers and administrators in a clinical understanding of trauma and help them develop individual interventions to keep students learning. 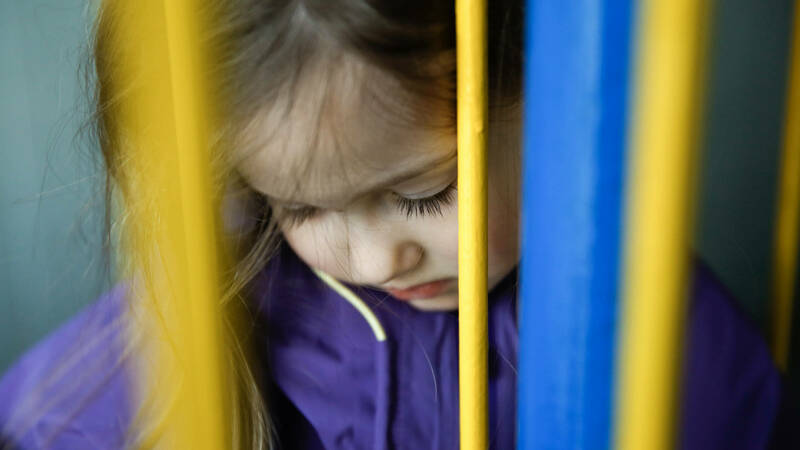 “The majority of kids walking through the door have had some kind of [trauma] experience and they’re bringing that with them,” said Jenny Ventura, who is charge of implementing and assessing the Unconditional Education program. Most schools cobble together some psychological services for kids who qualify for Medicaid, but that often means pulling a kid out of class for an hour once a week. Meanwhile, the student interacts with his or her teacher close to 30 hours each week. Seneca wanted to help teachers become the first responders to trauma in their classrooms, a task made difficult because many students have specific traumas around safety and attachment to adults..
Often helping teachers to take a trauma-informed approach to students whose behavior triggers their frustration and anger means supporting teachers first. Seneca trainers try to create a safe space for teachers to talk about behavior frustrations in constructive ways. Trainers recognize that without an outlet for those emotions teachers internalize all the hard and frustrating moments, making it harder to respond next time and contributing to burnout. In a typical training, teachers first identify strengths in their students. “I always start with student strengths because I want to be able to remember that this is a three dimensional student,” said Robyn Ganeles, who leads trauma-informed trainings for Seneca. It’s easy to forget about a student’s strengths when the focus is on behavior problems, but Ganeles said in general teachers are very able to identify those strengths when asked. Then teachers write down specific behaviors they can observe. The idea is to keep judgement out of this section and only note behaviors. Ganeles also asks teachers to reflect on what these behaviors bring up for them. They talk through how behaviors can lead to assumptions about the student or the family. Ganeles wants teachers to be brave and really talk through these feelings, a support she says many other mental health professionals get regularly, but that is missing from teaching. “They definitely are on the front line and they don’t have the time or the space to work through these things,” she said. A really common feeling is that the student is manipulative, that she could control her behavior if she wanted. Next, teachers examine what the child’s behavior is inviting them to do. “Understanding how a child is inviting us to respond to their behaviors gives us a window into what their internal working model might be,” Ganeles said. For example, if the child is threatening to throw a chair at his teacher, he could be inviting either a flight or fight response. He’s inviting a power struggle or abandonment. “We might hypothesize that this kid might not trust that people are going to meet his needs,” Ganeles said. At this point it’s important to separate the function of the behavior from the invitation to respond. Teachers are often familiar with behavioral theory and see bad behavior as attention-seeking. That phrase has now become a judgmental term, when really it’s more akin to the proximity seeking that babies do. Maybe the child believes the only way to get someone to care is to yell and scream. All these prior steps will help teachers identify the student’s “internal working model,” their beliefs about how they interact with the world. “People don’t think of those things as an integral part of a behavior plan, but it really is because it’s addressing the underlying thoughts and expectations the kids have that reinforce the behaviors we’re trying to minimize,” Ganeles said. Once a teacher has a hypothesis about what the behavior says about how a child believes he fits into the world, she can take a disconfirming stance. If the behavior is saying adults aren’t trustworthy, an individualized intervention might be to greet the child at the door every day, providing consistency. Or if a student doesn’t think anyone cares about her unless she’s making a disturbance, a teacher might develop a small signal for the student to let her know she’s seen. “Anyone interacting with a kid has the potential to provide a disconfirming stance,” Ganeles said. That’s why Unconditional Education trainers welcome all adults in the building to join these trauma-informed workshops. It might be an afterschool teacher or a janitor who ends up sending a message to the child that helps him see the world differently. “The interventions need to be individualized and come from a place of empathy,” Ganeles said. Seneca is interested to know if the focus on creating an entire school community focused on safety and care using a trauma-informed lens will make measurable impacts on student learning in English and math and on indicators like attendance and suspensions/expulsions. The organization hired SRI, a third-party evaluator, to measure impact on five pilot schools in Oakland and two in San Francisco after the first year of implementation. While reversing the effects of trauma and low achievement take time, the SRI report found promising results. The data only takes into account the five Oakland schools because of consent rules within San Francisco Unified that resulted in small sample sizes. However, Oakland schools saw moderate positive effects on math achievement overall and positive effects in every category for Latino students. African American students saw small or moderate positive effects on mathematics, attendance and suspension rates. Special education students saw large effects in mathematics and small to moderate effects in reading, attendance and suspensions. Anecdotally, Anita Parameswaran says things have improved between the first year of implementation and second year at Webster. The first year was mostly about getting teacher buy-in, but when they started to see the positive impact of Unconditional Education interventions and support, most were eager to participate. It also helped that the school administration prioritized the program, made it the focus of professional development and built capacity within the building to continue the work. The goal of the program is to train teachers and administrators on trauma-informed approaches and help build supportive structures within the school in three years. After that the Unconditional Education coaches will move on to do the same with other schools. Some structures include a culture and climate committee focused on site-wide system changes. At Webster, this committee was first led by the Unconditional Education coach, but now is co-facilitated by school staff. Staff at participating schools are also trying to evaluate themselves on how well they are implementing the tiered approach (similar to Response to Intervention). They write an annual implementation plan each summer to identify areas of focus for the upcoming year, and they do data review meetings, where educators who work with a specific student all get together to talk about successful interventions and how these are moving the student towards a sustainable transformation. Assistive Technology Series Starts Tomorrow!